Still not announced but now well known thanks to numerous leaks, especially on the side of the Korean smartphone to be announced on April 28, LG G4 and Sony Xperia Z4 just made ​​another appearance in the tool database benchmark GFXBench Manhattan 3.1. This classification refers the best smartphones of the moment in terms of graphics performance. 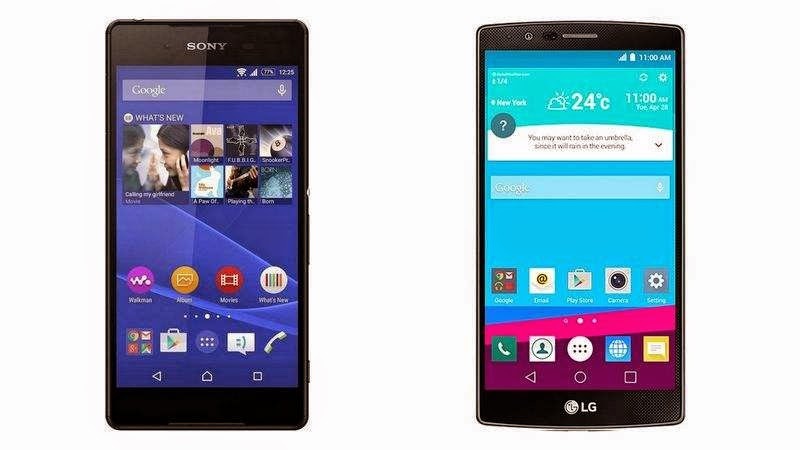 Sony Xperia Z4 and LG G4 clash on GFXBench Manhattan 3.1. Designed to measure the number of images processed by the GPU in a predefined period of time, this test gives us some indication of graphics performance and hardware configuration of each of the two devices. As stated here in black and white, the Sony Xperia Z4 team a GPU Adreno 430 and the LG G4 a Adreno 418, which confirms, once again, they board processors respectively Snapdragon 810 Snapdragon and 808. 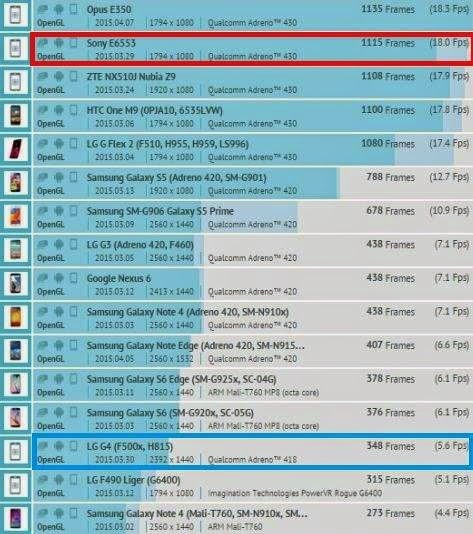 While the next high-end Sony managed to run a total of 1115 images at 18 frames per second, the LG performed 348 images at 5.6 fps. The Z4 is placed second ranking while the G4 comes fourteenth. I must say that the two do not embark on the same processor and it feels about this type of test. Read also: Sony Xperia Z4: new images reveal the home screen! As we had already read it several times, the Sony Xperia Z4 will be equipped with a Snapdragon processor 810 supported by 3 GB of Ram. As you already know, the chip has four A57 cores and four A53 cores. However, in order to guard against overheating, LG has obviously decided to opt for a Snapdragon 808 , a hexa-core chip composed of two A57 cores and four A53 cores.